Second-half goals by Lazar Markovic and Sam Clucas earned 10-man Hull City three points as they beat Watford 2-0 at the KCOM Stadium. The Tigers suffered a setback when Oumar Niasse was shown a red card 25 minutes in, but they went ahead through Markovic, who headed the ball on to the underside of the crossbar and made sure with the rebound. Ten minutes later, Watford cleared a corner as far as Clucas, who chested it down and unleashed a 30-yard volley into the top corner. 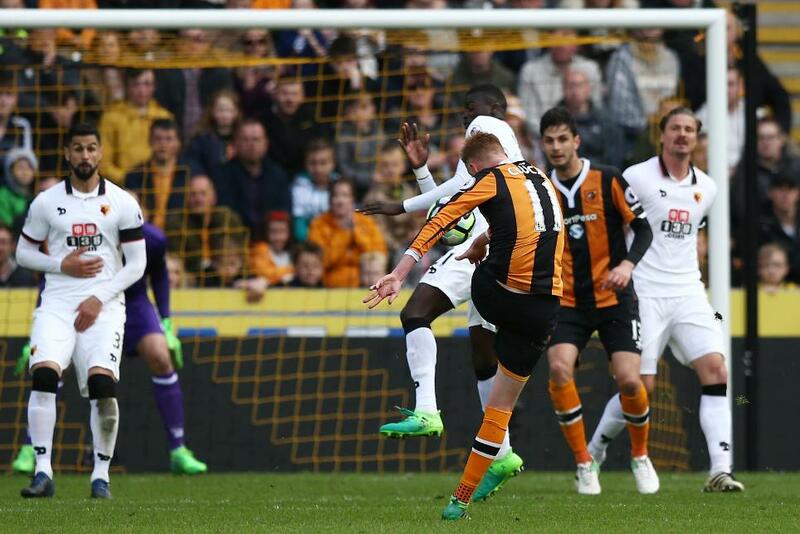 Hull, in 17th, are two points off the relegation zone after Swansea City's win, while Watford remain 10th.